A coach, whatever the sporting code, requires a robust determination and willingness to listen assertively to all critics and supporters (though that varies depending upon the success rate). Coaching has advanced far from the fifty years ago “my way or the highway” approach and now a coaches mission statement must involve “bringing out participants’ ability” and “working towards achieving their full potential”. Some coaches express that more succinctly. A coach must be competent to evaluate performances, adapt to the needs of players, to break tasks into sequences, and ensure players are always in an appropriate health/safety situation. Generally, a coach must be a role model to gain players’ trust and respect along with the ability to work long irregular hours as most coaches in New Zealand are voluntary part-timers. A 2014 estimation claims 7849 such individuals were involved in this manner in New Zealand. One of a coach’s real strengths is motivation but individuals can do much for themselves too by listening to those who, with hard work, integrity and ability, have risen to the top of their sporting profession. Michael Jordan said ,”never say never because limits like fears are often just an illusion.” USA founding father Benjamin Franklin stated that things that hurt, instruct, while Napoleon Boneparte said victory belongs to the most persevering. In the twentieth century, according to top tennis player Andre Agassi, if you don’t practice you don’t deserve to win, and Tiger Woods believes that you can always become better. John Wooden said a coach should ensure players know the coach is working with the player and not for him/her. And former coach of the UCLA basketball side said it’s what you learn after you know it all that counts. The last word on coaches is attributed to Stephen Jones , a rugby union correspondent for The Times and The Sunday Times for more than twenty years. Jones is noted for controversial and provocative articles and, in particular, for his anti-Irish and anti-New Zealand comments. He names his best twenty rugby coaches of all time. Ian McGeechan (Scotland and Lions) takes number one spot. McGeechan in terms of longevity, great one-off wins and test glory leads the field followed by Fred Allen (New Zealand), a dynamic coach full of rugby nous and brilliance; Sir Clive Woodward (England); Bob Dwyer (Australia); Carwyn James, coach of the 1971 Lions test winning side in New Zealand; John Hart (New Zealand); Ray Williams (Wales); Jack Rowell (England); Graham Henry (New Zealand, Wales, Lions); Nick Mallett (South Africa; Warren Gatland (Waikato, Wales); Marcello Loffreda (Argentina); DeclanKidney (Ireland; Robbie Deans (Australia); Jacques Fouroux (France); Jake White/Kitch Christie (South Africa); and Paul Turner (Bedford, London, Welsh, and others). You disagree with Jones? He’s used to criticism. Who’s missing? Who would you include? And while on the subject of rugby, It was disappointing last Saturday prior to the North Otago/Mid Canterbury Heartland game which I covered as a rugby commentator along with comments man, Paddy Ford, to be handed less than a half hour before kickoff the Mid Canterbury team which had eight changes from the side which I had been given on Friday morning. According to NZRU regulation, teams must be in the hands of the appropriate Unions 48 hours before kick-off! I’m still trying to decide whether it was through ignorance, arrogance or whether someone in the Mid Canterbury camp was playing a silly game. 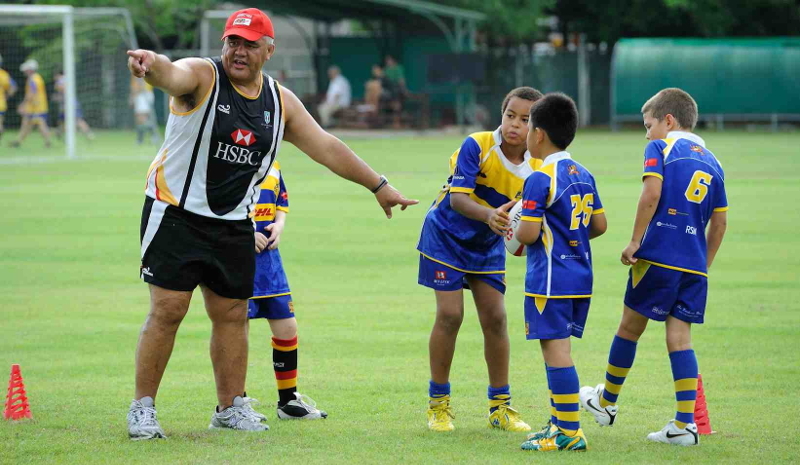 This entry was posted in As I See It and tagged 'the people', mentoring, Rugby by SJPONeill. Bookmark the permalink.